Restylane is a world-class injectable filler that came to us from Sweden – the land of beauties. It is one of several options today for restoring facial contour and youthfulness without surgery. In Europe, Restylane is favored by over 80% of that mature population for being safe, effective and reliable. Since it’s a hyaluronic-acid based filler, it attracts and binds water which in turn instantly plumps up the skin to restore fullness and smooth out those unwanted wrinkles, lines and grooves. No skin-testing is required and there is little or no downtime. You can have a beauty treatment during your lunch-hour! Hyaluronic Acid was first discovered in the 1930’s after which many different medical and aesthetic uses were developed. HA is a naturally occurring compound that exists within the body and is identical in all species. Its purpose is to provide fullness and volume to the skin. Restylane® was the first dermal filler made from non-animal based hyaluronic acid which is a crystal clear gel called NASHA (Non-Animal Based, Stabilized Hyaluronic-Acid). It is bio-degradable, completely compatible with human hyaluronic acid and is stable – identical to our own. Any man or woman who wants to defy aging and restore a more youthful appearance to the face by restoring fullness – and achieve instant results – could be an ideal candidate. Dr. Yeh can determine during your personal consultation if Restylane would be the right choice for you. You should be in otherwise good health and be capable of having realistic expectations. Skin so that you walk out of Dr. Yeh’s office with instant results! Restylane injectable treatments typically take a only a few minutes and can be done during a lunch-hour. Using a very fine needle and pre-measured doses of Restylane, Dr. Yeh injects the formula into the mid to deep dermis to correct loss of volume. The NASHA gel integrates into the facial tissue where it attracts and binds to water molecules. This restores volume which smoothes out folds and wrinkles – naturally. The results are quick and natural looking. If any bruising or swelling occurs, it is normal and resolves on its own in a few days. Mineral makeup can be used to effectively camouflage this beautifully! All medical treatments are serious decisions and should be treated as such. Restylane injectable treatments require critical understanding of the facial anatomy – including the nerves and muscles – and the injections require skill and experience to effect safe, desirable results. 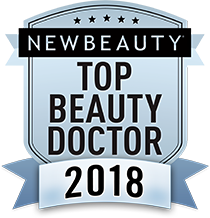 Dr. Yeh is specially trained in all injectable treatments, and as a board certified surgeon has many more years of training and experience than other physicians. He is specialized in procedures of the head and neck and has meticulously honed his skills in all treatments – surgical and non-surgical to effectively perform your chosen procedure.